Marketing experts reveal what it takes to put the customer first in a fast-evolving digital environment. A customer-first attitude starts with the right marketing culture within an organisation, but industry experts agree that’s easier said than done. Discussing the significance of customer-centricity at the Association for Data-Driven Marketing and Advertising (ADMA) Customer Experience Town Hall 2016 in Sydney, American Express VP of consumer acquisition and loyalty, Dean Chadwick, said organisations need to embrace the concept culturally from the top down. In his role at American Express, Chadwick said he’s embraced a culture of customer centricity by taking a design-led approach and also creating an innovation lab. At Optus, a customer-led strategy meant first taking away a lot of the bad and toxic practices then tackling the challenge of create exceptional experiences, head of marketing Tyrone O'Neill, said. At Facebook, head of tech, entertainment and communications, Jason Juma-Ross, said behavioural data has been vital in improving customer offerings, especially given the breadth of users on the platform. But Juma-Ross warned against companies doing too much adhoc activity in an effort to be customer centric, as that could run the risk of becoming too fragmented in your approach. “When I look at organisations who innovate today, there’s a lot of throwing stuff out there and seeing if it works, but you really need to know what your strategy is, so you can then focus your direction with an informed approach. So that’s a balance you need to strike culturally,” he said. Director of creative services at tech company Start VR, Angus Stevens, agreed. The former Nova digital content and product director said that while a concept like VR is set to revolutionise customer experience and expectations, it needs to be adopted with customer usage in mind. 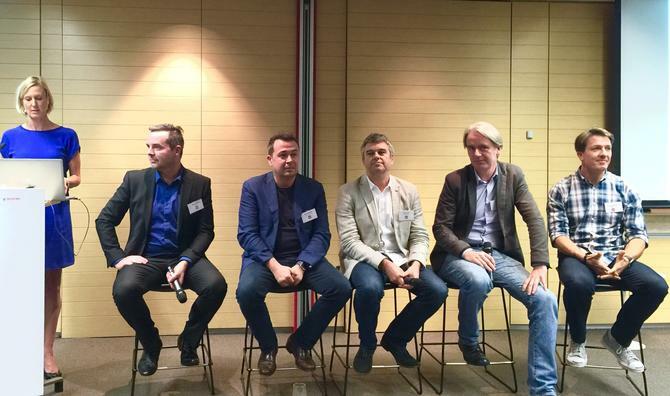 The panel discussion was held ahead of the ADMA White Paper on customer experience schedule to be released on 10 June. ​Report: What do marketers look for in the right vendor?